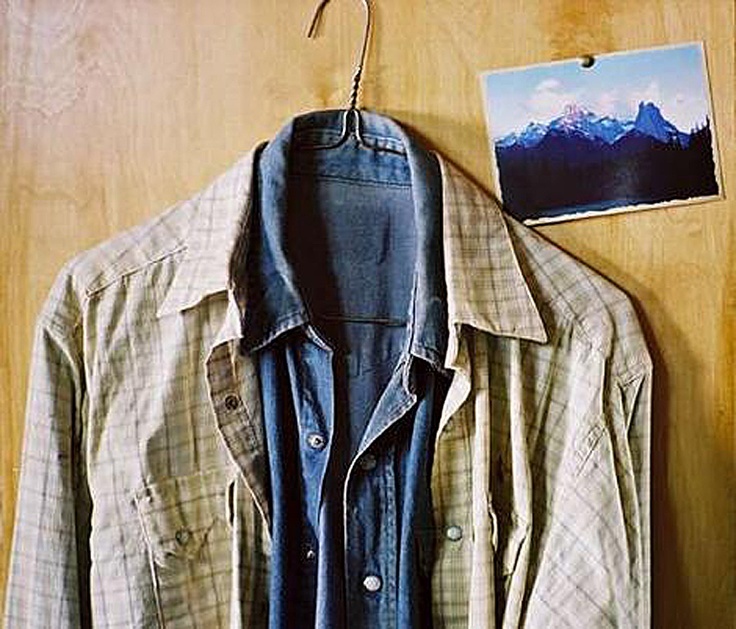 “At the north end of the closet a tiny jog in the wall made a slight hiding place and here, stiff with long suspension from a nail, hung a shirt. He lifted it off the nail. 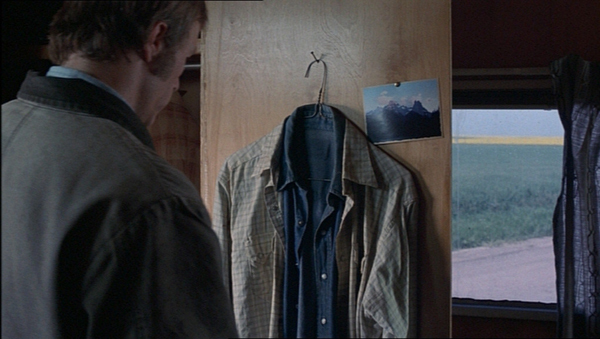 Jack’s old shirt from Brokeback days. 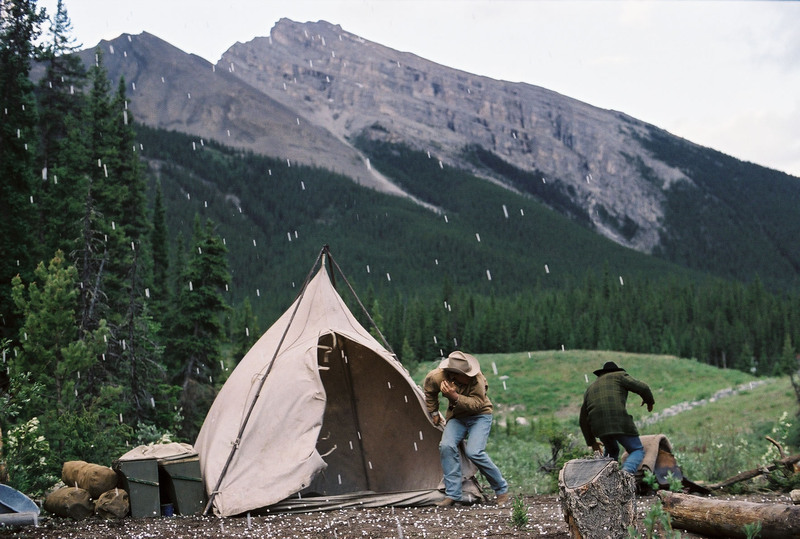 The dried blood on the sleeve was his own blood, a gushing nosebleed on the last afternoon on the mountain when Jack, in their contortionistic grappling and wrestling, had slammed Ennis’s nose hard with his knee. He had staunched the blood which was everywhere, all over both of them, with his shirtsleeve, but the staunching hadn’t held because Ennis had suddenly swung from the deck and laid the ministering angel out in the wild columbine, wings folded. The shirt seemed heavy until he saw there was another shirt inside it, the sleeves carefully worked down inside Jack’s sleeves. 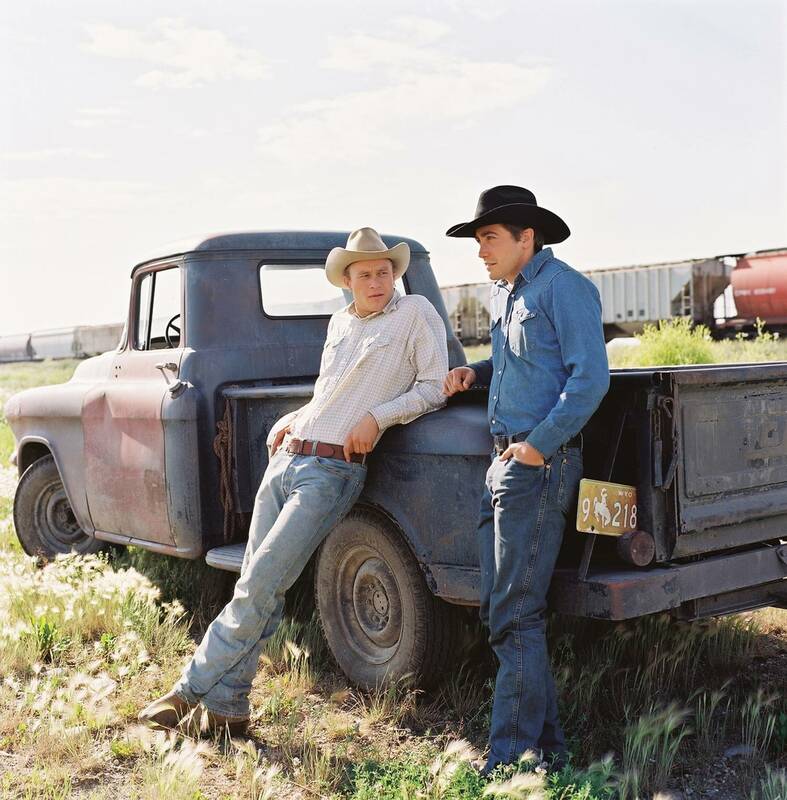 It was his own plaid shirt, lost, he’d thought, long ago in some damn laundry, his dirty shirt, the pocket ripped, buttons missing, stolen by Jack and hidden here inside Jack’s own shirt, the pair like two skins, one inside the other, two in one. 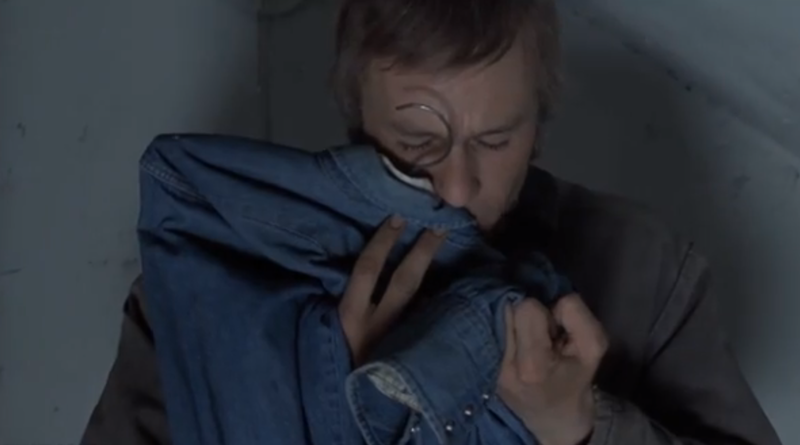 He pressed his face into the fabric and breathed in slowly through his mouth and nose, hoping for the faintest smoke and mountain sage and salty sweet stink of Jack but there was no real scent, only the memory of it, the imagined power of Brokeback Mountain of which nothing was left but what he held in his hands. 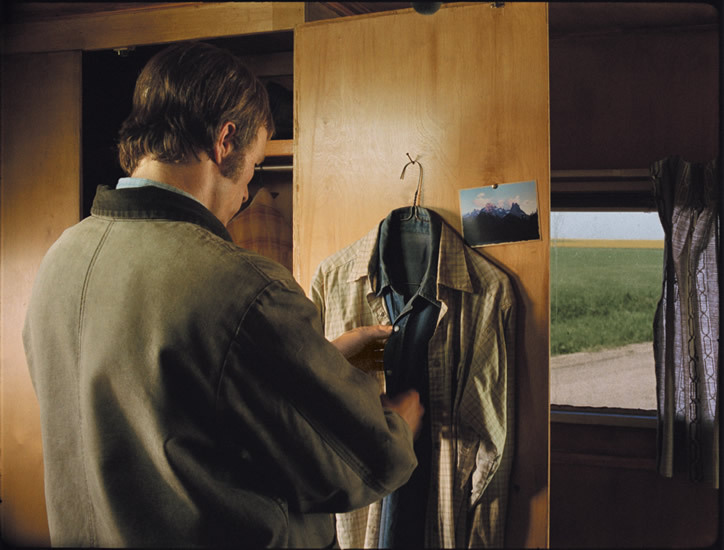 In the film’s heart-wrenching final scene, as Gustavo Santaolalla’s strings play one of the saddest slow crescendos on record, Ennis is by himself in his trailer, with the life he chose not to live represented by two blood-stained shirts and a faded picture of Brokeback Mountain hanging on his closet door. Outside, out of his reach, lies a patch of green grass.